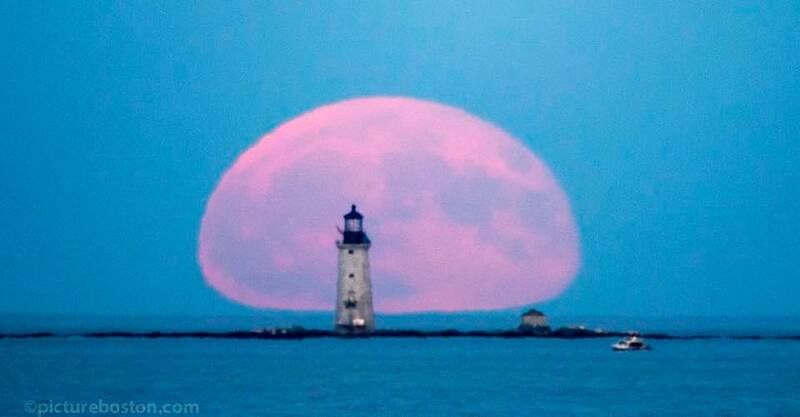 From Winthrop, Boston Herald photographer Mark Garfinkel captured this incredible moonrise over Graves. A few days earlier, on the night of August 12-13, Mark caught the specactular lightning storm around the lighthouse. We really enjoy the pictures that friends, fans, and passers-by send along to us from Winthrop, Hull, Nahant, by boat, or wherever. They help chronicle the history of Graves Light and Boston Harbor. Take a look at Mark’s work on his blog, PictureBoston.com, and on Twitter @PictureBoston.